At Moving Service we don’t just offer high quality, reliable and professional removal services, we promise them as well! There are no relocation services that we do not offer for those clients of ours who come to us when they are planning on moving from London to Toulouse. Your move from London to Toulouse should be a positive experience for you even if you are worried about possibly starting a new life in a foreign country and unfamiliar area. Whether you are relocating your office space, commercial property, house, bungalow, apartment or undertaking a furniture or student move, our dedicated removals firm has your back and will make sure that we do not fail to please you when we come to transport your belongings and successfully take care of your London to Toulouse removals. DIY or With a Professional Company? Do not consider taking on this relocation yourself, even though you may consider it to be the cheaper and more convenient option for you, as we assure you that it will certainly not end up this way. Choosing to have a professional and well seasoned removals company to take care of the responsibilities and tasks when moving from London to Toulouse, is by far the more practical way of relocating in just a small amount of time and without you feeling the pressure and stresses of the move. When thinking about relocating and which company to choose simply give us a call on 020 8746 4402 and let us help you to decide by answering any of your queries, questions and concerns. 0Toulouse is a city in the Haute-Garonne region of France and its metropolitan area has a population of over 1, 203, 000 inhabitants. 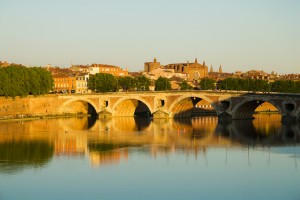 The metropolitan area of Toulouse spans quite a way and covers many suburban areas around the city which makes it one of the largest French conurbations in the whole of the country. Toulouse is the fourth largest metropolitan area in France, after Lyon, Marseille and of course, the capital city of Paris which is the largest conurbation and city in the country. The city is set on the banks of the River Garonne, which leads to both the Mediterranean Sea and to the Atlantic Ocean as well. The city of Toulouse is in a convenient location, meaning that it is located closely to other nearby cities and major areas of the country, including Paris which is about 590km away from Toulouse, 150km from the Mediterranean Sea and approximately 300km from the Atlantic Ocean. The city of Toulouse is well noted for being the home of l’Oncopole de Toulouse which is the largest cancer research centre in the whole of Europe. 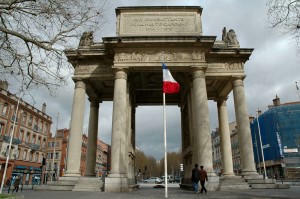 In addition to this research centre which can be found in the city itself, Toulouse is also the home to a variety of business headquarters of many well known businesses and corporations. Our list of London to Toulouse moves is simply not just limited to domestic or commercial removal services but is in fact a much longer list which includes a whole range of easy and manageable removal services which will help to make your forthcoming relocation easier and simpler for you and your moving situation. Say goodbye to those dreaded moving situations and stresses and instead choose Moving Service for the job of moving you from London to Toulouse. At any time that you need us just give us a call on 020 8746 4402 and we will be happy to speak to you.